I have been a doll maker since I was sixteen years old, starting with an original design that I hand-embroidered and gave as a gift to my mother. 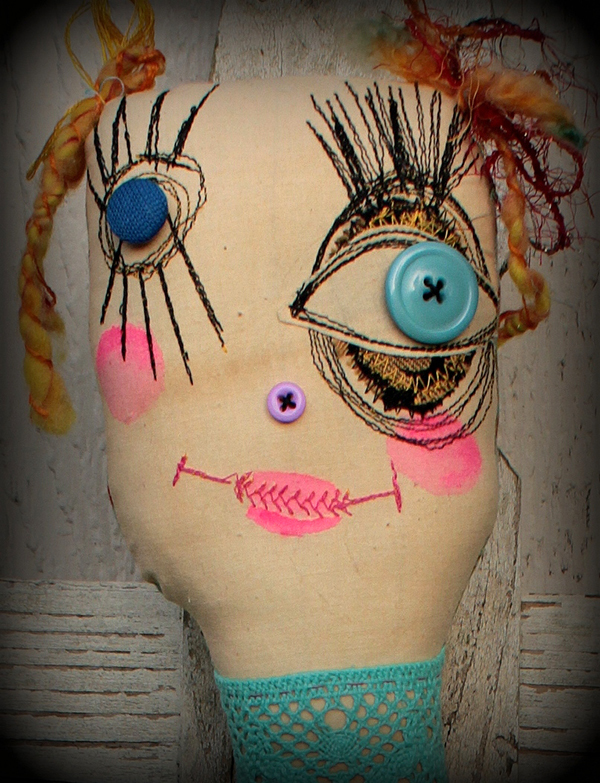 Over the years I have enjoyed learning different techniques, and continue to make a variety of dolls. If you see a style you like, I am able to do commissions. 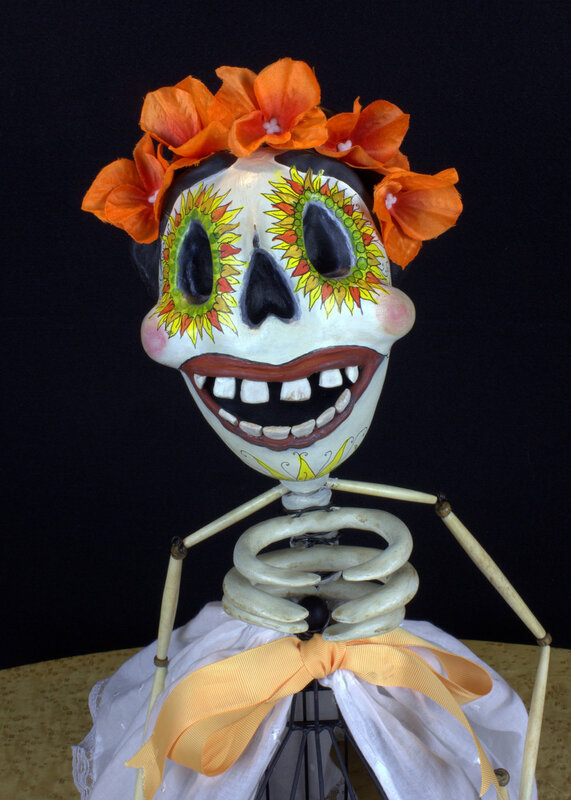 These dolls are mixed-media standing dolls, made with a combination of textiles, armature, hand-sculpted paper clay and paint. Once upon a time my mother inherited some boudoir dolls from my Great-Aunt Irene, and they came to live in my bedroom. They were very tall dolls, meant to adorn a lady's bedroom, and unintentionally a little bit spooky with their staring eyes. 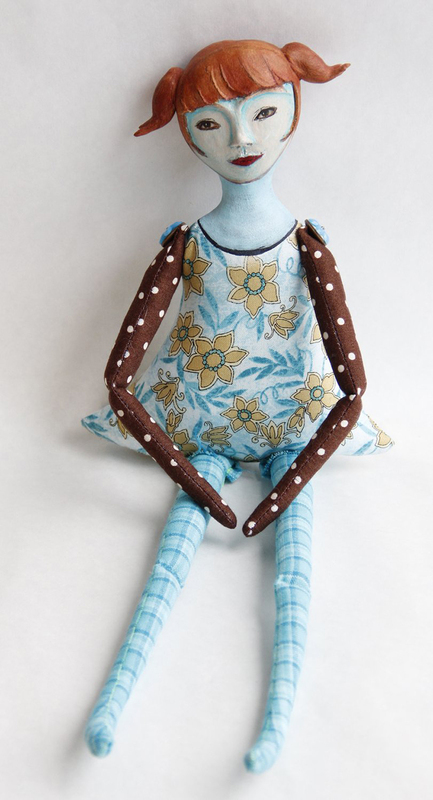 Here is my take on the boudoir doll, decidedly more whimsical! Art doll. 44 inches tall. 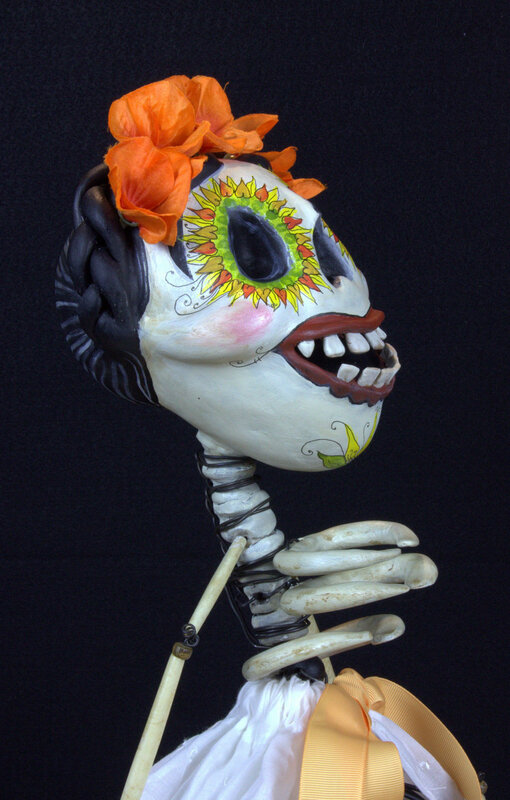 Textiles, bone, wire. Art doll. Approximately 44 inches tall. Art doll. 40 inches tall. Art doll. 49 inches tall. Art doll. Approximately 30 inches tall. Art doll. Dorothy Gale from the Wizard of Oz. Approximately 30 inches tall. Art doll. The Little Match Girl from the Hans Christian Anderson story. Approximately 32 inches tall. Art doll. The Little Match Girl from the Hans Christian Anderson story. Inspired by the illustrations of Edward Gorey. 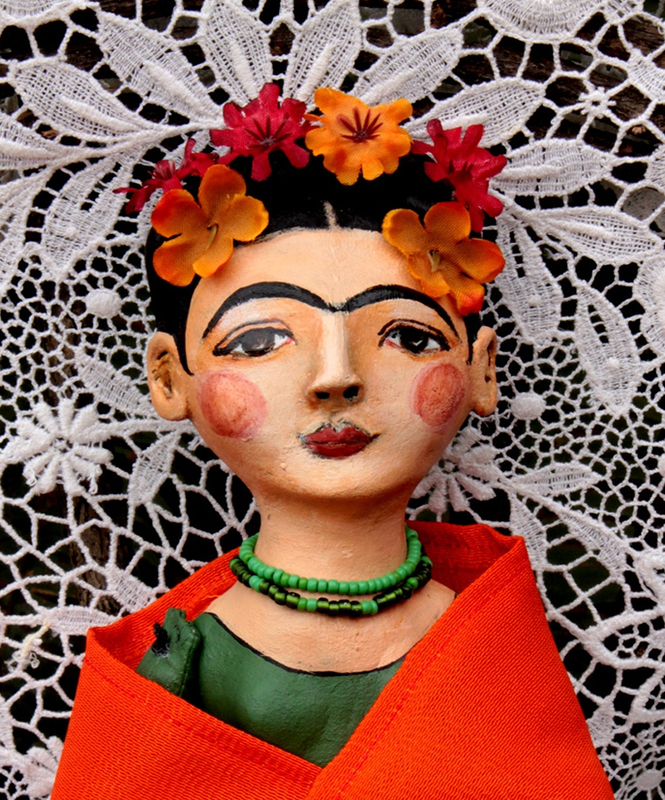 Endlessly inspired by Frida Kahlo and Mexican folk art, these are some of my most popular dolls. Art doll and shadow box. Approximately 6 x 20 inches. Art doll and shadow box. Approximately 8 x 20 inches. Art doll. Approximately 15 inches tall. Art dolls. Both dolls are approximately 20 inches tall. 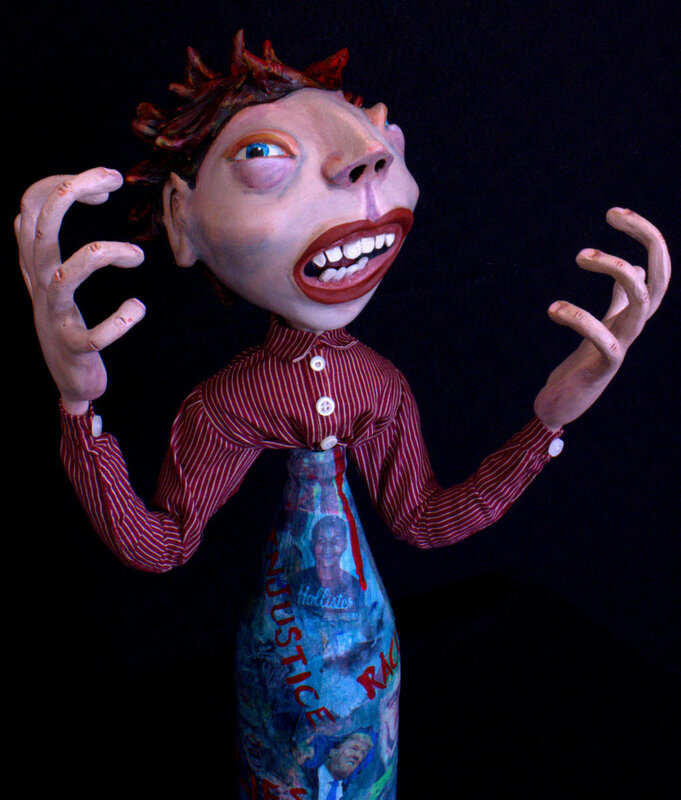 Art dolls. Each doll approximately 18 inches tall. 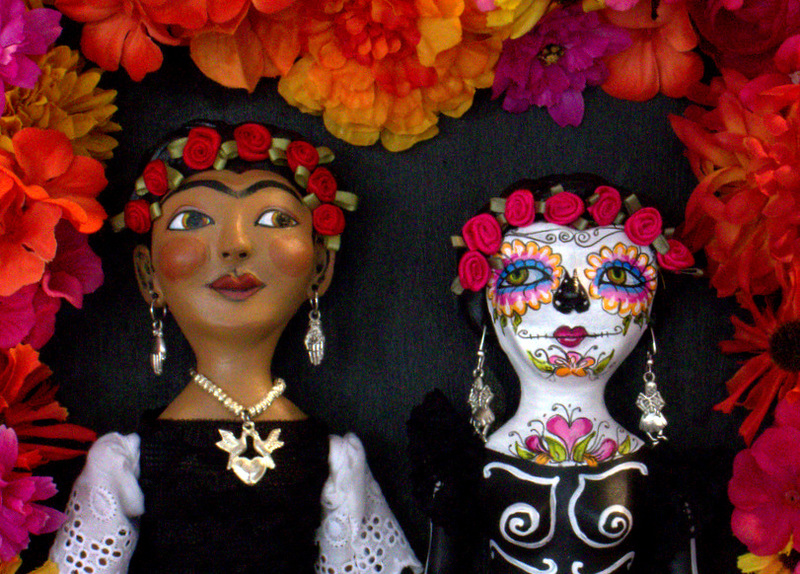 Art dolls of varying sizes. Art dolls and shadow box. Shrine is approximately 12 x 32 inches. 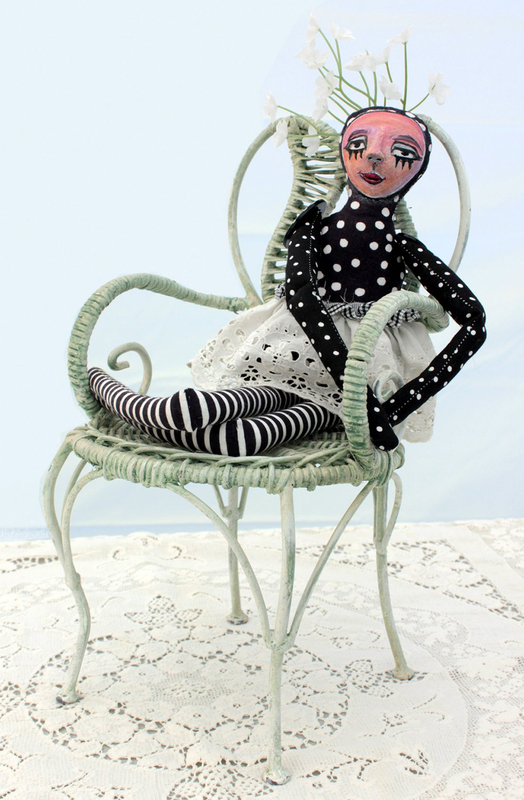 Art doll and chair. 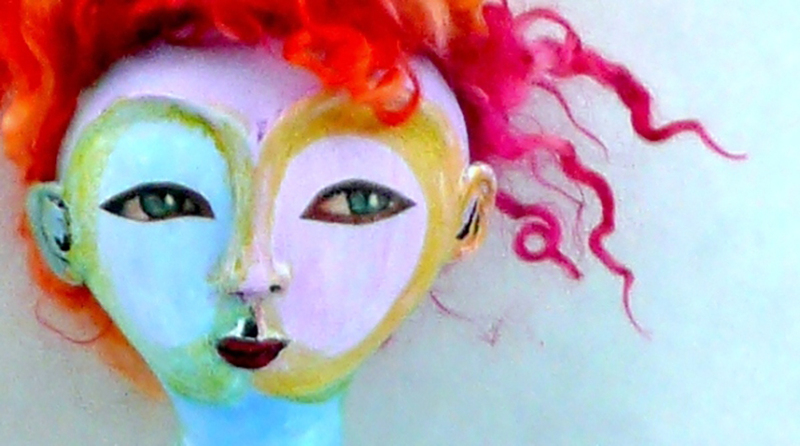 Painted cloth doll. Wooden chair. Doll is approximately 15 inches tall. Art doll. Embroidered face. Approximately 22 inches tall. 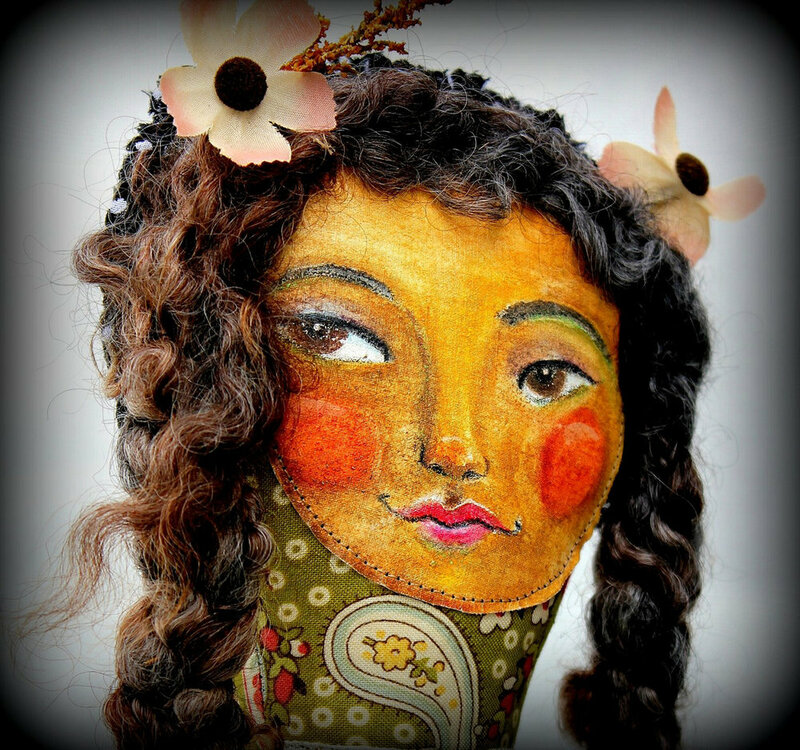 Delightfully whimsical, I create these mixed media dolls with fabric, paper clay, and paint. Some of them include a shadow box to help tell their story. The dolls themselves range in size from 10 to 18 inches. 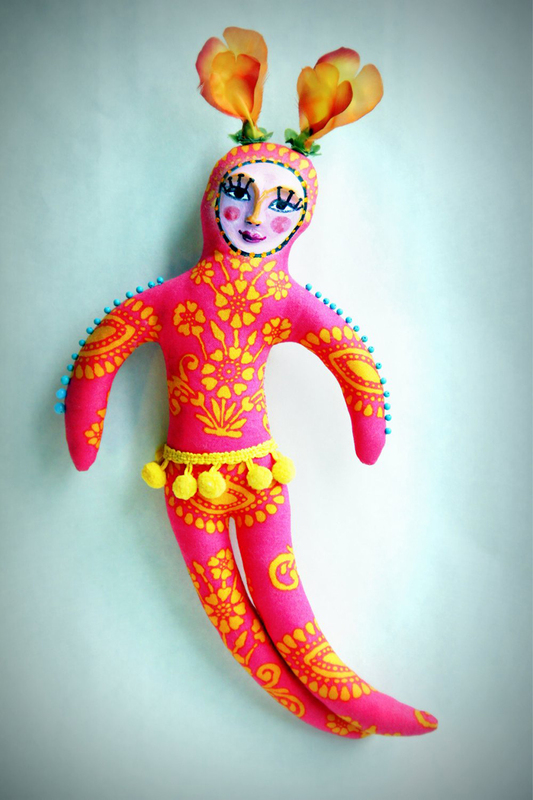 Cloth dolls with hand-painted faces, evoking folk art from around the world.